The Trump administration announced Friday that it is cutting more than $200 million in aid to the Palestinians, following a review, commissioned by President Trump, of U.S. assistance projects in Gaza and West Bank. "At the direction of President Trump, we have undertaken a review of U.S. assistance to the Palestinian Authority and in the West Bank and Gaza to ensure these funds are spent in accordance with U.S. national interests and provide value to the U.S. taxpayer," a State Department official said in a statement to reporters. "As a result of that review, at the direction of the president, we will redirect more than $200 million ... originally planned for programs in the West Bank and Gaza." 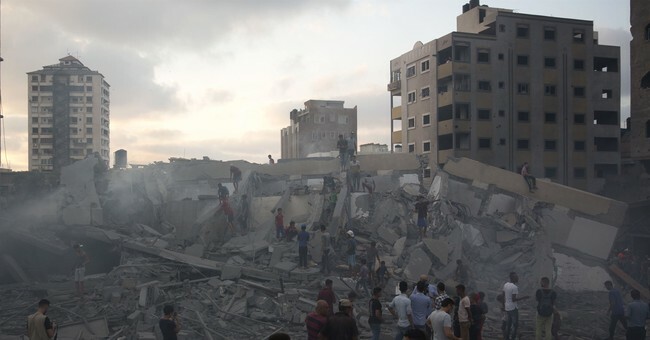 "This decision takes into account the challenges the international community faces in providing assistance in Gaza, where Hamas control endangers the lives of Gaza's citizens and degrades an already dire humanitarian and economic situation," the official added. The funds will "now address high-priority projects elsewhere,” according to the State Department. The State Department did not specify the exact amount of funding that would be cut. "The announcement does not include some $65 million in frozen U.S. funding for the U.N. Relief and Works Agency, which provides services to Palestinians in the West Bank, Gaza, Jordan and Lebanon," The Associated Press reports. "However, the Trump administration is extremely skeptical of UNRWA and that money is also likely to be reprogrammed, according to officials."